Imagine bringing in grandma's old charm bracelet and receiving a check for $2,000. Imagine bringing in a half filled sandwich baggie of old, broken & out of style 14k jewelry and going home with a shockingly large check for $4,000. Bring in your school class rings, tricolor gold, rope chains, gold pocket watches, gold wristwatches, charm bracelets and all 10k, 14, 18k 22k 24k gold jewelry. Put Your TRUST Into Coin Galleries of Oyster Bay. We have been buying from the public for 37 years. Deal with the Professionals at Coin Galleries of Oyster Bay. Stop by one of our 4 Locations OR call today! 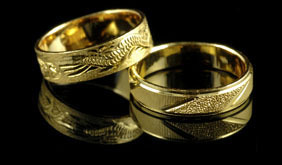 * Please Note: Sorry but we DO NOT buy Gold Filled, Gold Plated or Custome Jewelry. WE JUST PAY THE HIGHEST.